Normally, the specialist skills of several different tradesmen are needed to fit a new kitchen. If you’re thinking about changing parts of your kitchen, or you want a completely new kitchen fitted at your home, we’re here to help. Aspect is London’s most helpful team of multi-trade property maintenance experts. We have skilled tradesmen for every part of your installation or refurbishment project. We’re fully trade accredited. Aspect is registered with the Gas Safe Register and NICEIC, we’re also a member of the Building Engineering Services Association (BESA). We’re also members of the Federation of Master Builders and The Guild of Master Craftsmen. In addition, the Aspect Guarantee covers our tradesmen’s workmanship for up to 12-months. We have a highly skilled tradesman ready for every part of your fitting or refurbishment work. We’ll allocate a dedicated Project Manager for any installation project that needs multiple tradesmen. They’ll be responsible for scheduling tasks for different tradesmen. Flooring; wood, tile, laminate, vinyl etc. 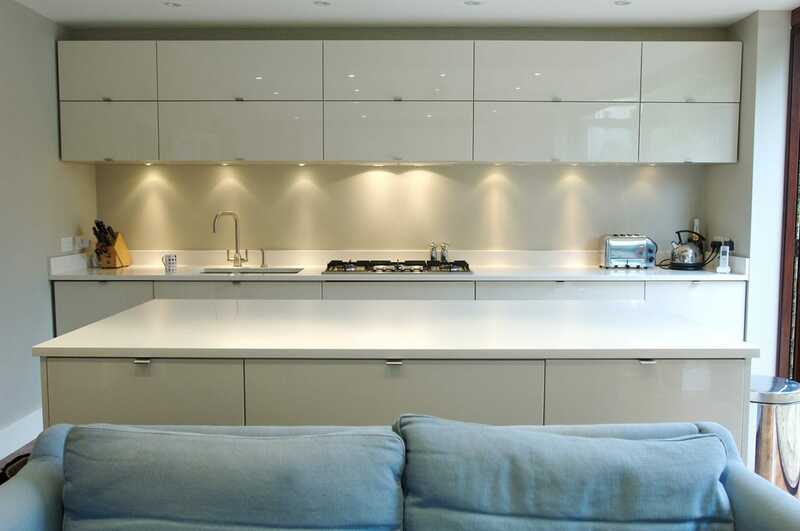 We manage all types of kitchen fitting and installations in both residential and commercial properties throughout London. We’ll work closely with you at every significant step of fitting your new kitchen. From discussing your vision at the start, budgeting and scheduling, on to updates and progress and finally snagging and approval, we’ll keep you well informed.